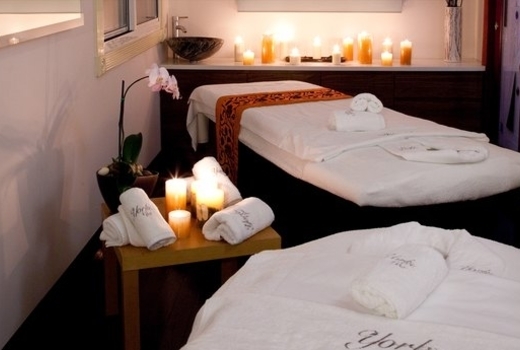 Schedule some much deserved "me time" for your beauty and wellness needs at Le York Spa, a luxurious SoHo institution that has been specializing in holistic, botanical and highly effective treatments for over a decade. Grab this $89 pulse (a $241 value) and indulge in a 3 Treatment Spa Day, that includes 60 minute massage of your choice, 60 minute European facial, and a manicure. First, your choice of 60 minute massage - Deep Tissue, Swedish, or Aromatherapy - will leave you feeling calm, rested and revitalized. Next, restore your youthful glow with the spa's signature 60 minute European Facial. This multi-step process will reveal a radiant, fresh complexion that only a professional treatment can. Finish off with a manicure in the season's newest colors that will leave your digits looking immaculate. Located on the iconic cobblestone streets of SoHo, Le York Spa offers mind and body relaxation to New Yorkers looking to take a break from the city's pace. 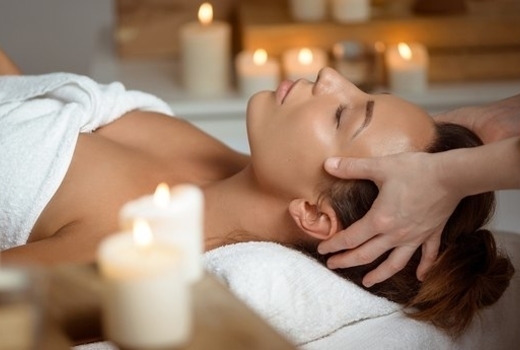 Using only botanical-based luxury lines like Aveda and GM Collin, the talented massage therapists and licensed aestheticians at Le York ensure that you get the optimal results without any adverse reactions. Your 3 Treatment Spa Day promises to bring about both inner harmony and outer beauty, helping you you feel beautiful, luminous, and relaxed from the inside out. Classic Swedish Massage - designed to relax muscles, improve circulation, and release stress and tension in the entire body. Deep Tissue Massage - ideal for relieving sore, tight muscles, especially targeting deeper tissues with higher pressure. Aromatherapy Massage - uses lavender, green tea, or rose oil to restore moisture and balance stressed-out skin. The oils also relieve anxiety, depression, headaches, and promotes calmness and relaxation. This facial uses multiple steps to remove dead skin cells, deep clean clogged pores, and reveal fresh new skin cells. After a thorough cleansing, you move onto balancing and misting, then a 15 minute lymphatic massage (face, neck, shoulders, décolletage) with hydrating serum to increase circulation, remove toxins, and speed cell turnover. This is followed by a steam session to open pores, then a safe professional extraction to remove deepest impurities and blemishes. Finally, you will relax with a mask to hydrate, brighten and soothe - ending with toner and moisturizer. This facial is highly effective for eliminating blemishes and improving clarity, tone, and overall radiance. Get sparkling, freshly manicured nails in the season's newest colors! "Soho's BEST KEPT SECRET at great prices thanks to its many packages. Extremely spacious and clean spread over 2 floors with multiple private rooms, steam rooms and 12 lazy boys for group foot massages! The staff is always nice." "Had one of the best massages ever here.... They were able to accommodate me pretty last minute which I appreciated." "Really sweet, professional staff, beautiful true spa environment, and amazing massages & facials!" May purchase up to 3 vouchers for personal use, and a further 3 vouchers for gifting.